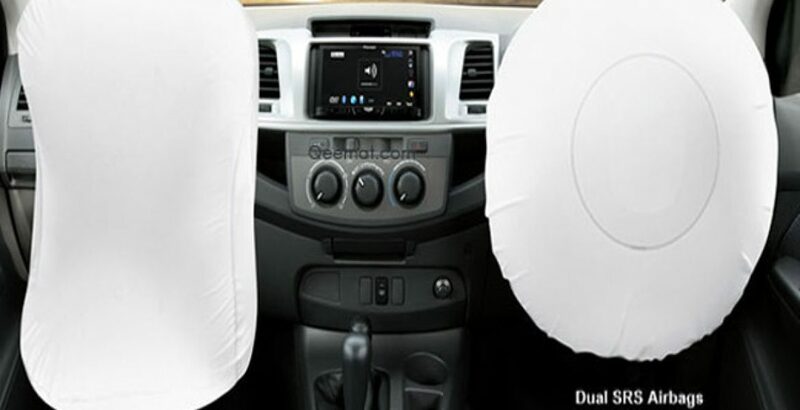 Toyota ranks as the top rated cars in Pakistan for its stylish looks, executive manufacturing and quality assurance. Keeping the market alive with its vehicles, Toyota is delivering another new double cab with most astounding features you might have enjoyed before. 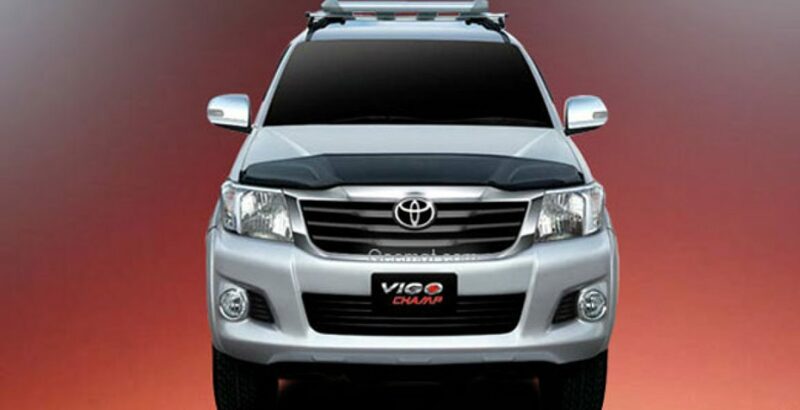 The new model is named as Toyota Vigo Champ available in the different trims like Vigo Champ Automatic G, Manual V and Hilux Standard E varying in some features with respect to price, but the basic standards are kept constant in every model. There is no compromise in its performing features and reliability. 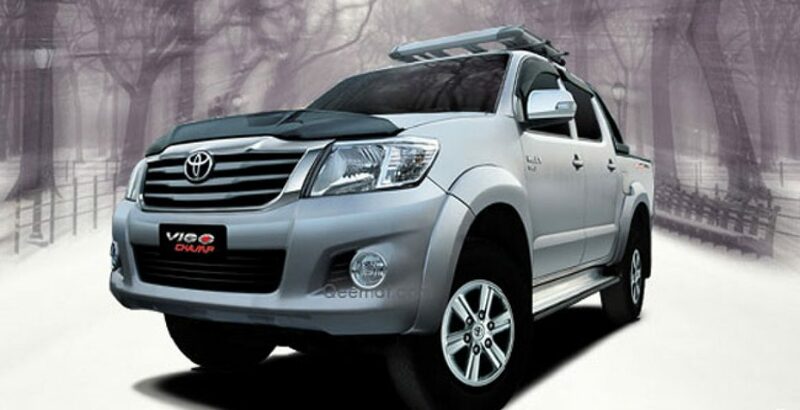 You can compare 2012 Toyota Hilux Vigo Champ price in Pakistan with each model and buy the most desiring one. Let’s see what it unfolds for the specs. The Vigo Champ is a roadrunner heavy double cabin marked with so many compelling interior and exterior features making the entire vehicle a powerful one. 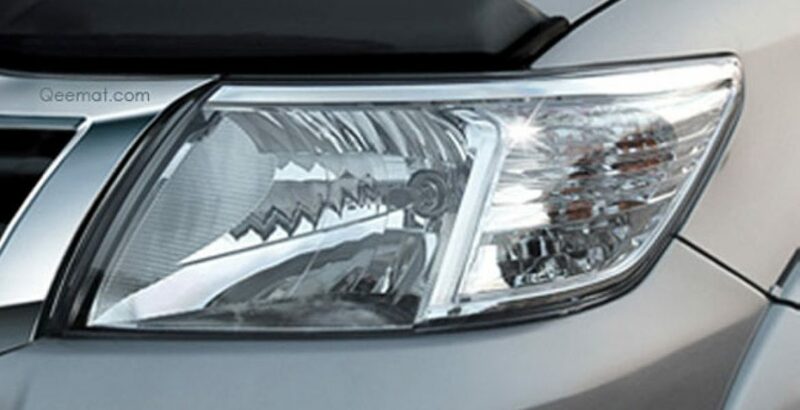 Starting from the exterior body of Toyota Vigo, you will find it bold front designed with Chrome grill, crystal headlamps and fog lamps, stylish crystal rare brake lamps, outside rear view mirror with indicator light embedded on it, shinning alloy rims and Chrome rear bumper. The open cabin at the back has something more advancing. There is a deck-liner for safe placement of things, antenna, huge Roll bar in carbon black color, roof carrier and side step to sit in the cab easily, etc. As we move towards its interior, you will find extraordinary equipment installed. 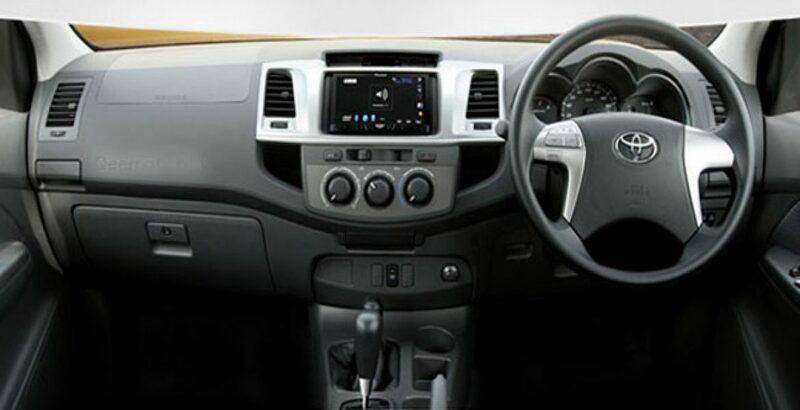 On the driver seat, you will get fingertip control steering wheel with steering switches on it for ensuring the comfortable handling and drive. The entertainment LCD have so many functions like Bluetooth, DVD, iPhone connectivity, recorder, auxiliary controls and silver buttons for controlling various functions, retractable mirror switches, speedometer and power windows. It gives out powerful performance with 2KD-FTV engine type powered with 2500cc that can cover 200Km in one hour. With the high-tech ventilated disc and leading-trailing drum, the front and rear brakes system of new Toyota Vigo Champ are amazing. If you love to enjoy heavy vehicles with stunning drive, here is the right option for you.